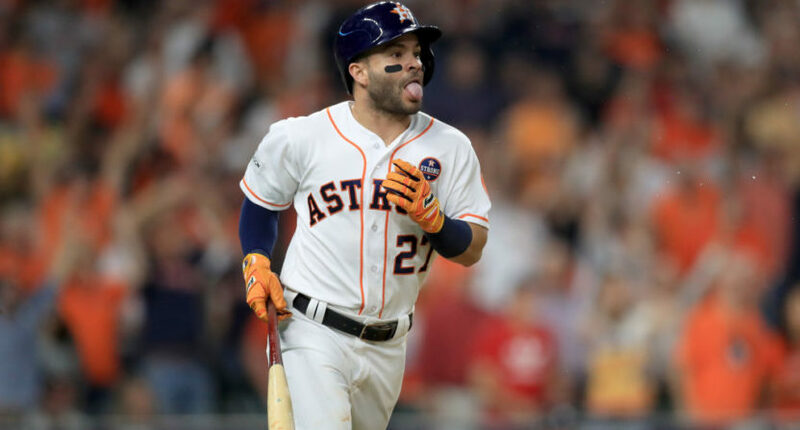 (SP) – Official health records on file for Jose Altuve in his home country of Venezuela suggest the Houston Astros star has been lying about his height for his entire career. While officially listed as 5-foot-6 since arriving in the minor leagues in 2007, documents in Venezuela suggest Altuve is actually quite tall at 6-foot-4. The revelation threatens to cast a shadow over Altuve as he prepares to lead the Astros into the World Series. Houston manager A.J. Hinch said the team is looking into the reports and will have no comment at this time. “He looks pretty short to me,” is all that Hinch would offer. Altuve becomes just the latest major leaguer from Latin America to come under scrutiny for discrepancies in his bio. Past investigations have found players to be much older than reported, while Altuve would likely be the first-ever to be play under a misreported height. The second baseman’s agent said the allegations don’t matter because his player’s height doesn’t matter on the field. But Altuve could be at risk of having his contract voided if he did lie about his height, and home plate umpires would likely give him a much larger strike zone if they were aware he is actually 6-foot-4 instead of 5-foot-6. MLB said they are investigating the allegations, and will weigh a possible suspension during the World Series if Altuve is measure to be 6-foot-4 before Game 1.